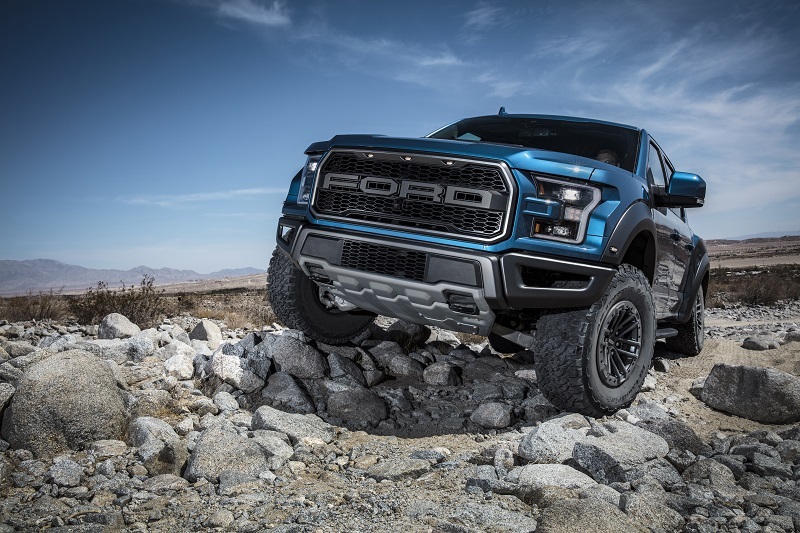 Ford Raptor gets ever ‘badder’ for 2019! 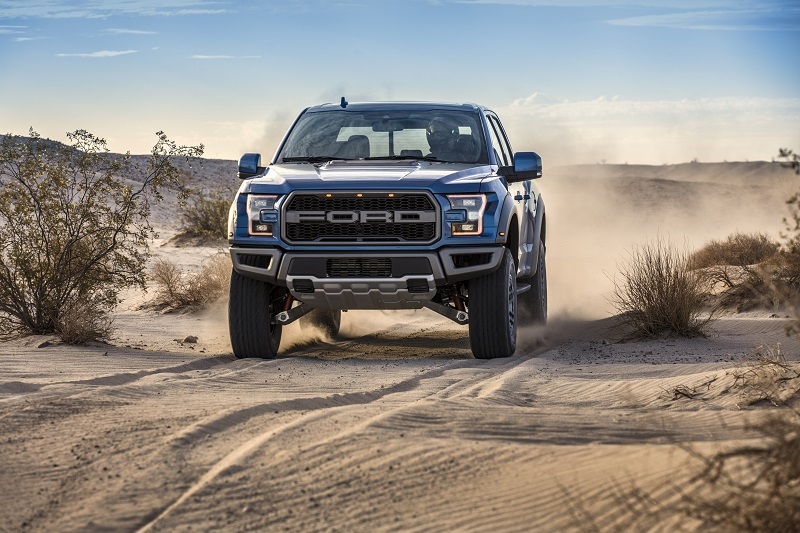 Ford is continuing their long tradition of making the segment’s first-ever production off-road truck ever tougher, smarter and more capable year-for-year. 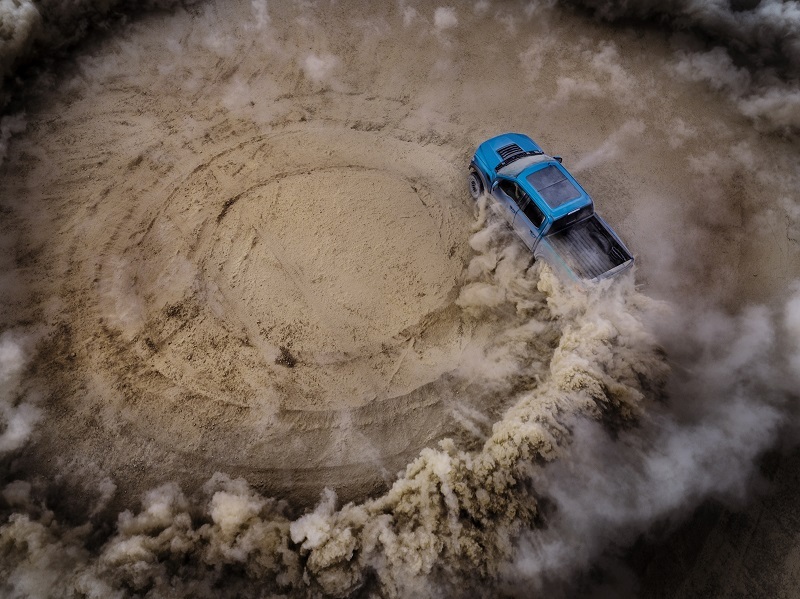 Though the 2019 Ford F-150 Raptor off-road truck is still several months away, they are teasing some of the upgrades now. 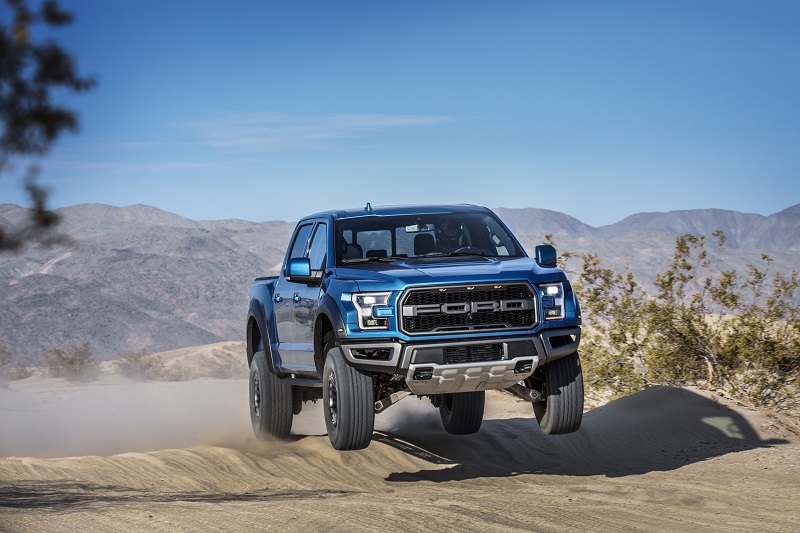 Already loaded with plenty of horsepower and torque delivered by the High Output 3.5L EcoBoost V6 – 450 horsepower / 510 lb.-ft. of torque – this announcement focused on the 2019 Raptor being a tougher, smarter and more capable trail runner. 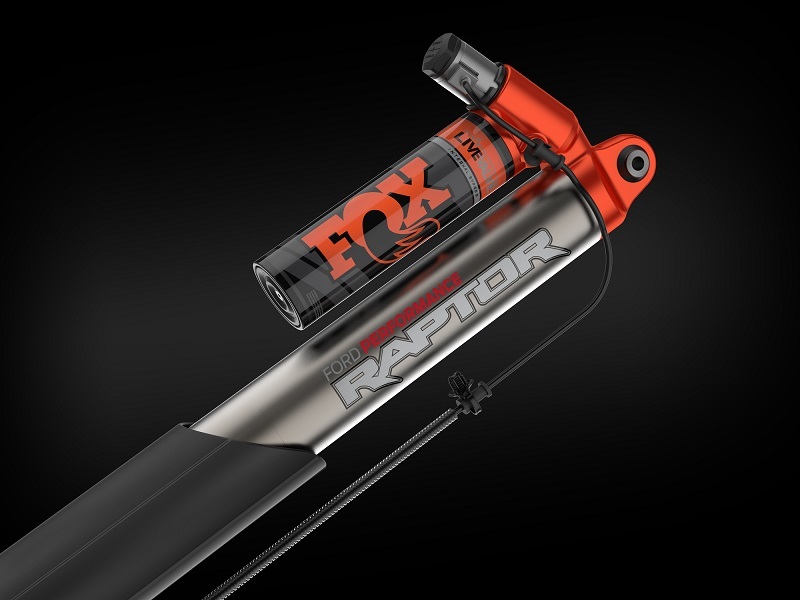 Ford says the 2019 Raptor suspension will feature new road-taming capability with enhanced ‘smart’ FOX shocks using electronically controlled Live Valve technology that adjusts damping continuously in real time. 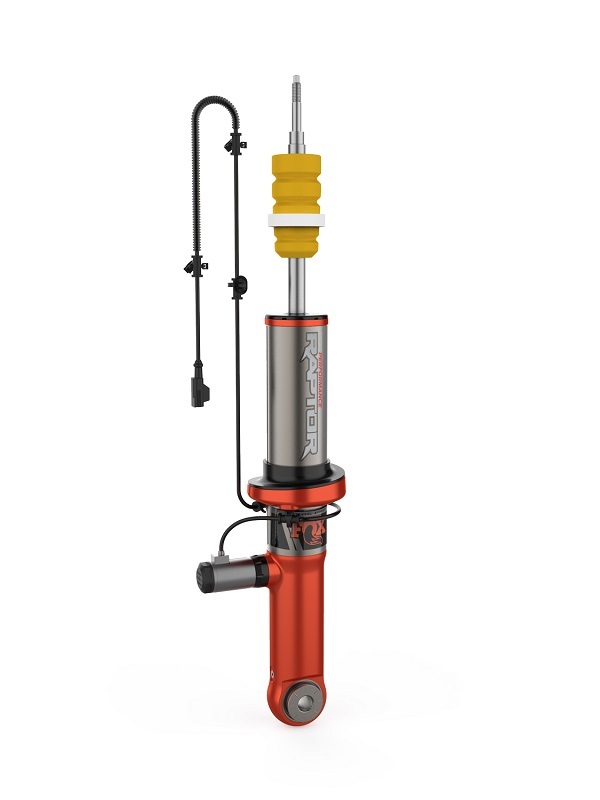 The basic suspension remains the same but with new ride-height sensors up front working in coordination with other sensors in the suspension and truck body. The Terrain Management System controls the setup with different calibration for Normal, Sport and Off-Road drive modes. Reading the terrain through the sensors, the system adjusts shocks in millisecond increments while allowing wheels to move freely as needed. 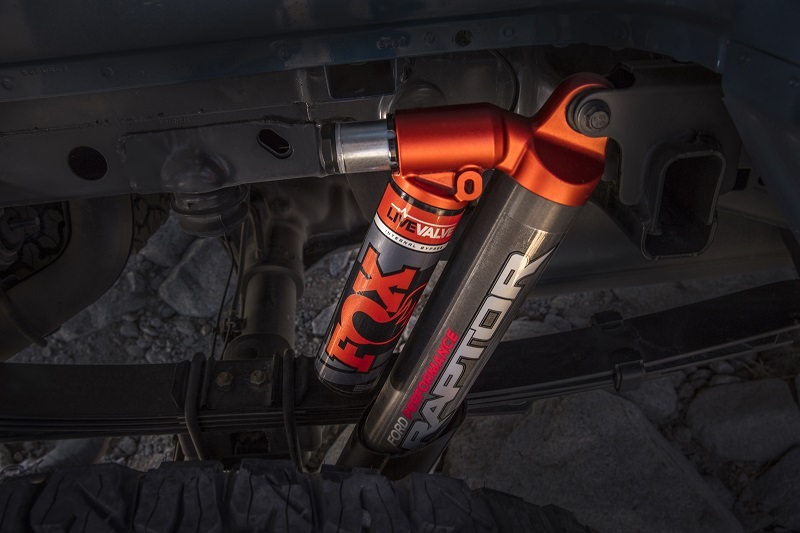 A feature we like is that it adjusts the shocks even when the truck is off the ground – in the air – stiffening them for a more controlled (without bottoming out) landing. Ford noted that approach and departure angles are unchanged and suspension travel remains the same at 13-inches front and 13.9-inches rear. A new Trail Control system assists drivers in navigating challenging trail conditions at low speeds. 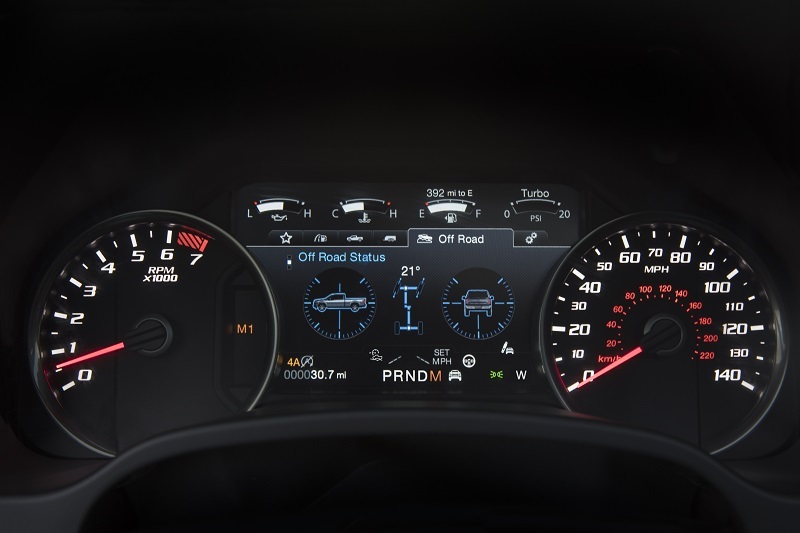 Ford says it is like low-speed cruise control. Traversing rugged terrain – at speeds up to 20 mph – the system continuously reads and adjusts power and braking to individual wheels for optimal traction and control. It not only automatically applies maximum torque for steep inclines, but also can – individually by wheel – apply brakes for downhill control. 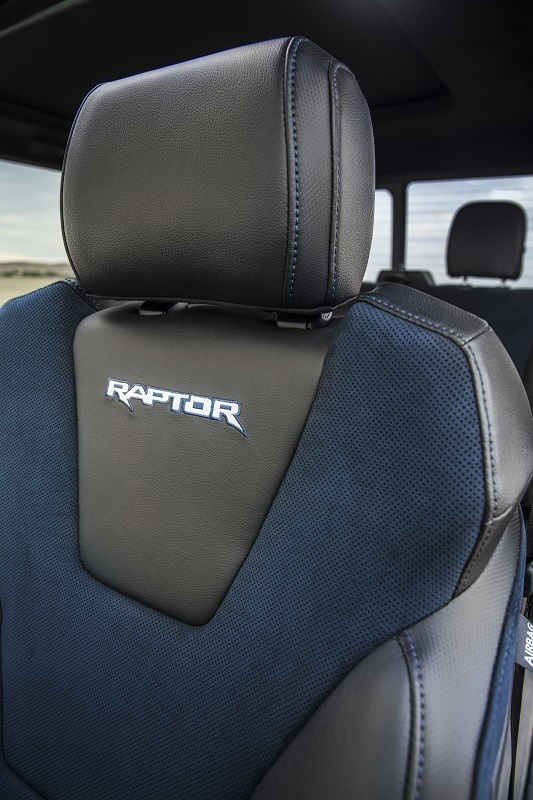 Recaro Sport Seating is built for rough riding (and landings) with added bolstering in the seat back and cushion. The new seats feature Alcantara inserts and accent stitching in the Ford GT Light Speed Blue. Look also for carbon fiber trim accents on the doors, dash and shifter. Other stuff includes new colors like Ford Performance Blue, Velocity Blue and Agate. The tailgate features a new bold Ford badge applique giving it a three-dimensional appearance. 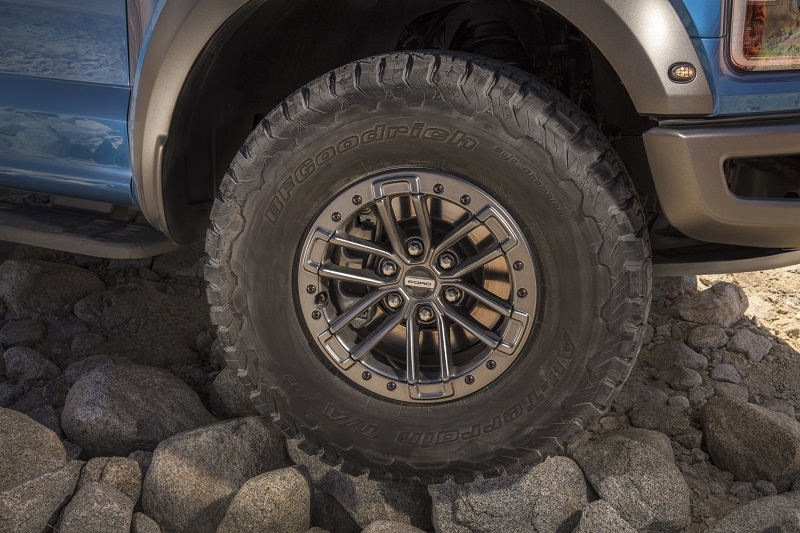 Newly designed beadlock-capable wheels (still 17-inch with 35-inch tires) will also be available. 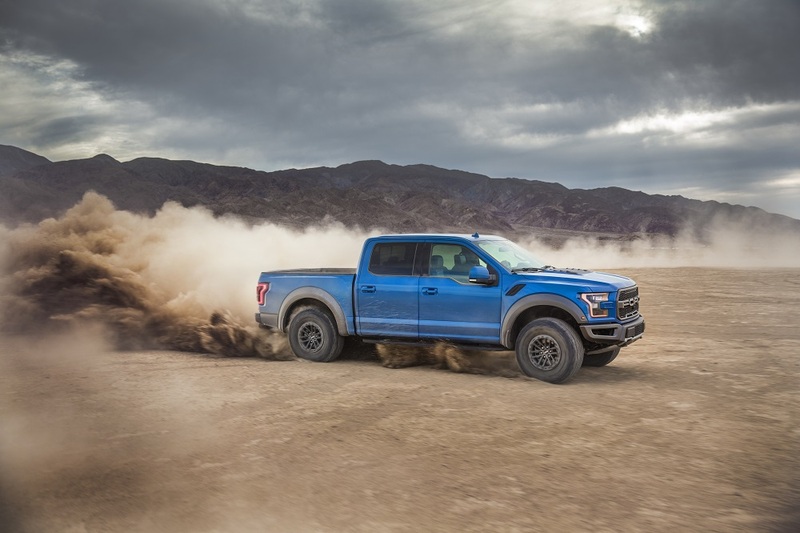 No mention was made of the rumored possibility that a new 7.0L V8 engine (to be produced at Windsor, Ontario) might either replace or be offered as an option to the EcoBoost V6 in the 2019 Raptor. When we learn more about the engine option possibility and/or other features plus pricing, we will share it with you.